Ce broyeur aurait plu à Dirty Harry. Cependant, il n'est pas fait pour les fous de la gâchette, mais plutôt pour les fous de la fumette ! En enlevant la partie supérieure, vous découvrez des dents acérées pour un meulage facile de votre herbe. La partie inférieure est un grand collecteur à pollen, pour ne rien perdre. Une balle pour bien "charger" vos sessions enfumées ! Mühle ist Top ! Versand alles gut. Also die mühle funktioniert ohne fehler. You cannot do without a grinder like this! This is not only one of the most efficient grinder I've ever had the pleasure to use, but it's also a tool with character, strength, and a very good visual impact. The disign is both essential and made with care so that with this grinder you will not only look good with friends, but also be able to fully enjoy whatever you want to smoke! The compartments are three, the perfect number, neither too many nor too few: they allow you to pick up until the last crystal without going overboard with the number of sieves. 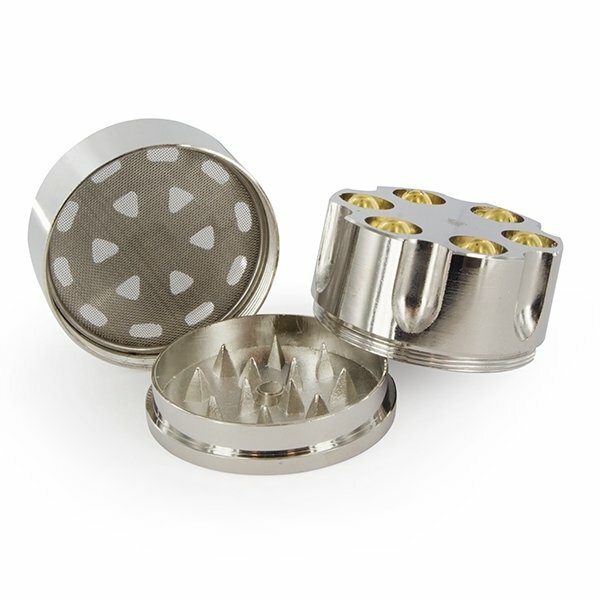 Every self-respecting smoker should have a grinder and this is a good choice for both beginners and experts alike! Aus welchem material ist die ware? 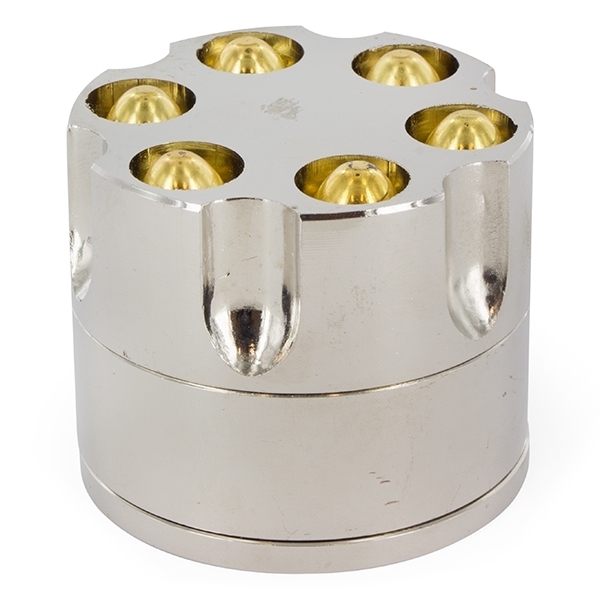 This grinder measures 4.5 cm high and 4 cm wide. The product consist of aluminum and chrome plated plastic.